Where will ION light rail take you? 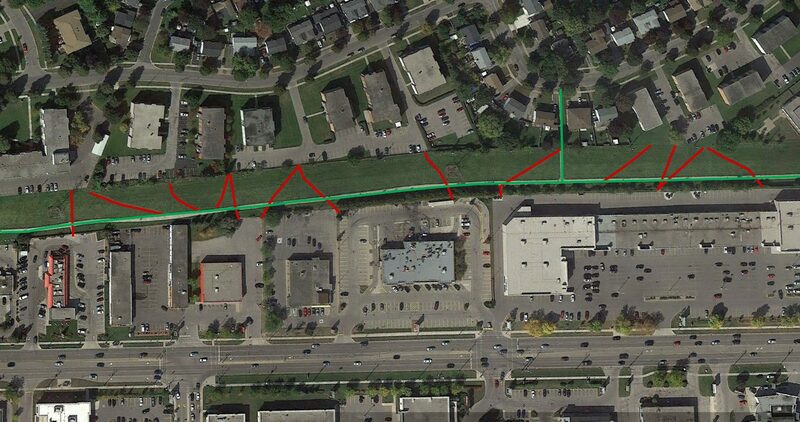 In August, we wrote about the missing crossing of the ION tracks from Traynor Ave to Fairway Ave in Kitchener. Without a pedestrian crossing, it means over a kilometre between crossings, and many residents are now cut off from services that used to be a walkable distance away. Thanks to the help of the neighbourhood community, the issue made it on to the municipal radar, and the City of Kitchener recently had a public feedback session seeking feedback for a proposed crossing of the ION tracks. See the display boards here. ION light rail, well under construction, is going to tie our region together, promoting dense, walkable communities around each new station. We may remember the panic at the thought of a “Berlin Wall” being erected through Waterloo Park. Cutting the park in two, and separating the sides. While we may have a fence after all, it is proving not to be a barrier at all, as plentiful crossings of the rail corridor at Father David Bauer and Central Dr keep the sides connected. When ION opens, it will be just as easy to get from one side of Waterloo Park to the other as was before. However, while all eyes were turned to Waterloo Park, it turns out another part of town was going to be cut in two. The Traynor Ave neighbourhood lies just north of the Hydro right-of-way that divides it from the businesses on Fairway Rd. “Divide” in this case, is a rather strong term. In fact, there are dozens of formal and informal paths connecting this neighbourhood to the dozens of retail businesses on Fairway. Restaurants, fast food, groceries, services, clothes, housewares, and much more are all accessible to this neighbourhood by a short walk on foot. But this is coming to an end. While attention was focused on Waterloo Park, the alignment of LRT through Uptown Waterloo, station placement in the university area, and several other proposed improvements, plans were finalized for the Fairway Hydro right-of-way that would cut this community off from their local shops. 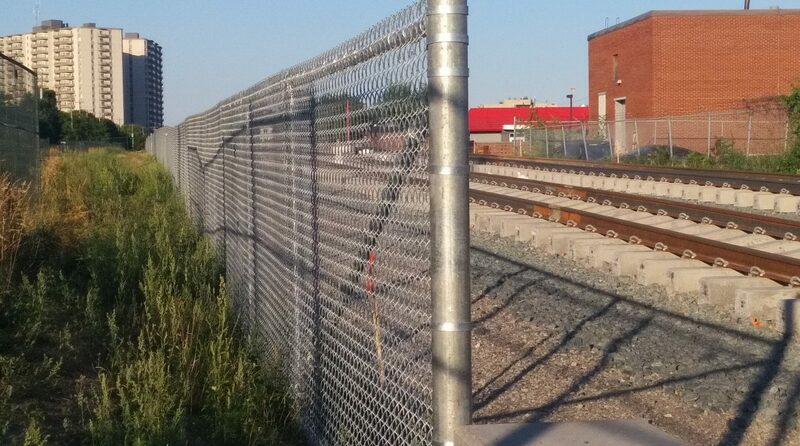 Over the past month, installation of a fence next to the tracks began, sparking shock and surprise among locals. The Rapid Transit team has since confirmed that there are no planned pedestrian crossings between Courtland Ave and Wilson Rd, a distance of 1 km. What was once a 100m walk for Swiss Chalet is now to be a 1100m hike. Residents have now started a petition asking for a crossing to be reinstated. These are not simply informal holes cut in fences. Most of these paths have even been legitimized by the businesses that they open on to. Fences have been properly framed to allow crossing. Other properties have never even bothered to install a fence, allowing customers free access. Much has been made of ION Light Rail’s ability to help make Waterloo Region a more walkable community. However here, we see a community that was already walkable, have their access removed. It’s unreasonable to expect residents to walk the 1km detour being imposed upon them, and this will directly lead to more trips by car. The exact opposite of the goals of Rapid Transit. Residents crossing the LRT tracks through incomplete fences. The residents of the Traynor neighbourhood already see little positive impact from LRT. They are at the midpoint of the second longest stretch of track between stations in the entire system. The line goes through their literal backyards without stopping. Now, to add insult to injury, LRT has cut them off from their own neighbourhood stores. The good news is that it’s not too late to change this. There are 18 months still to go before ION’s opening day in 2018. The issue now has the attention of regional councillors. Whether a change is worked out with GrandLinq, or the Region does the work on their own after initial construction finishes in 2017, there is still time to fix this before it requires interrupting ION service. There will be a cost to put this right, but the purpose of ION is to connect us, not to divide. Let the Region of Waterloo, and the City of Kitchener know about the importance of this connection by signing the petition, and speaking to your councillors. 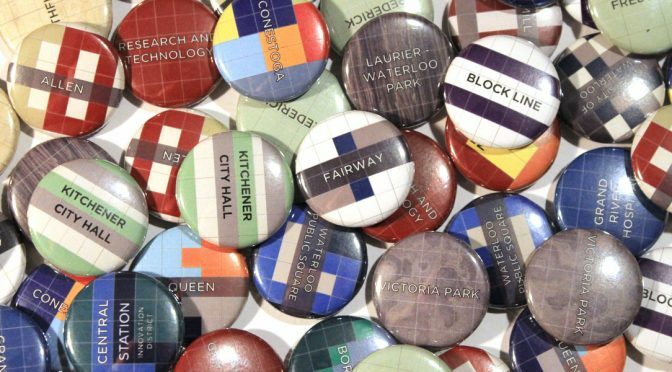 Last year, we surveyed municipal election candidates on a number of questions regarding transit, walkability, bicycling, and development. 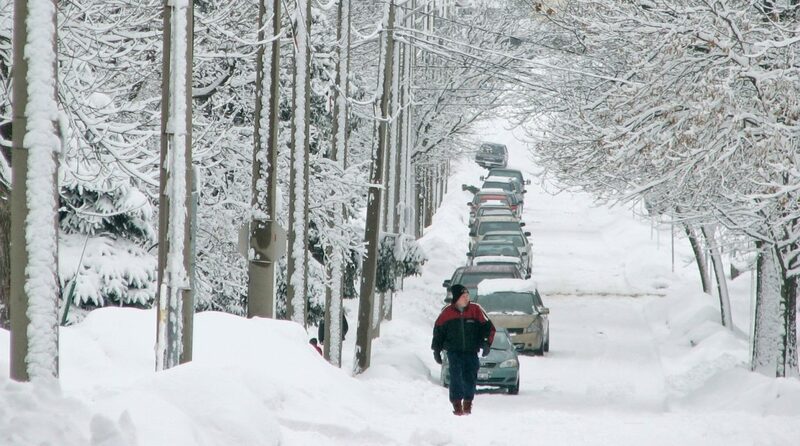 Below are what some of our current representatives had to say about keeping sidewalks usable in winter. If you’d like to get in touch with your councillors to talk about winter sidewalk maintenance, you can do so with our contact form. Visit our online store to buy ION station buttons or to donate to TriTAG! By using this form, you consent to receive emails from the Tri-Cities Transport Action Group. You may unsubscribe at any time. © 2009-2014 by Tri-Cities Transport Action Group (TriTAG), excepting stock photography. All rights reserved.